Discussion in 'iPhone and iPad Games' started by killercow, Jul 25, 2012. Have you played this already then ? Any good ? 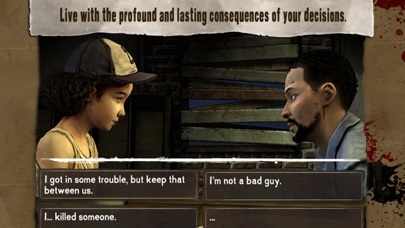 The first and second episodes on pc are telltale's best work to date. Let's hope this port delivers! Keen to see some iOS gameplay before I purchase. 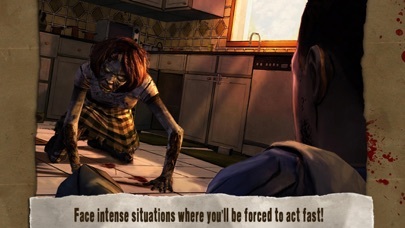 The Walking Dead is definitely one of those adventure games I enjoyed. The artstyle and voice acting are both excellent. 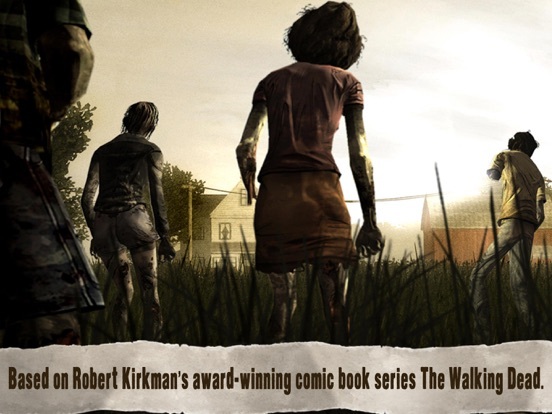 I read the comics and watched the drama, the game definitely lived up to the comics in terms of story. The only complaint I have is that this isn't a classic adventure game like Monkey Island. The items/puzzles are ridiculously braindead and it's riddled with Quick Time Events. The choices you make during episode 1 do carry over in episode 2 but I have yet to see it being significant enough. This is a game where making choices is the main component. It's more of a mix between an interactive comic book and a "Make your own adventure" LoneWolf gamebook. Thanks, sounds great though as i love those Fighting Fantasy style books and the decisions etc. My only worry is filesize, the price doesnt worry me but if future episodes are IAP's surely the file could get pretty huge. I have some concerns about how this game will work on the ios. 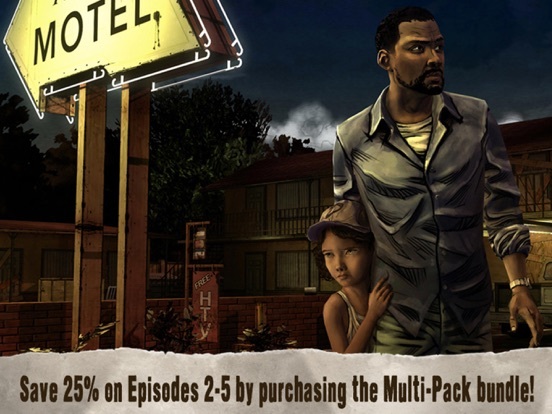 The other episodes are provided through IAPs and since choices and decisions carry over to the following episodes...all previous episodes have to be installed/downloaded on your device. I dunno about keeping 600-1 gb+ or so on my device for a year or more while I wait for the next few episodes to come out. Let`s see how much Laggy it will be this Time. Could you tell us if it's retina display on the new ipad too? Thanks! I follow you to purchase this one. Have you seen the TV show? It's amazing. Season 3 comes out this year. I'm waiting on Sanuku to upload gameplay to YouTube. 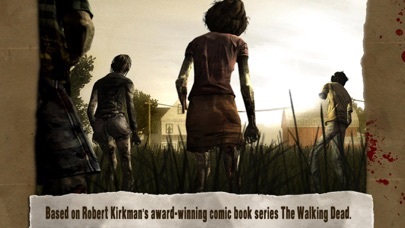 Also i'm addicted to the graphic novels on the Comixology app. 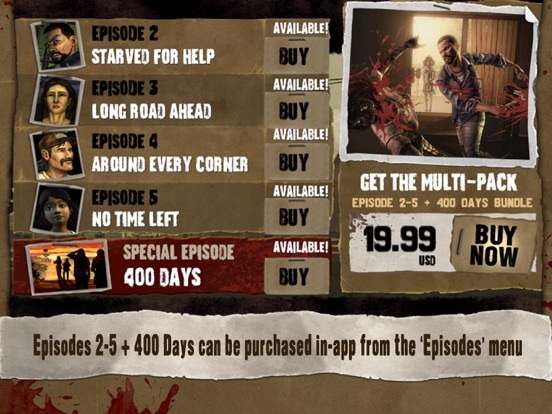 They recently had a sale for the compilations for Walking Dead. What really works well is the 'guided view' so you touch the side of the screen and it moves to the next panel (so its easy to read). 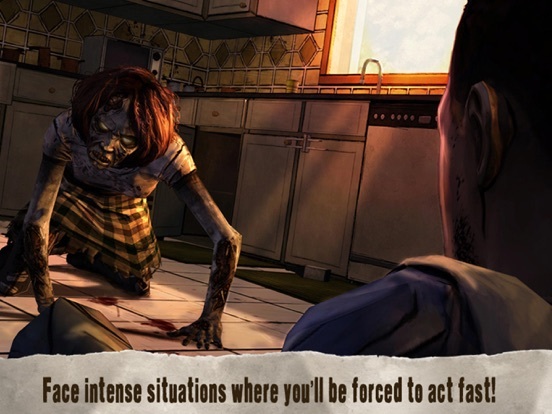 Works very very well specially for Walking Dead. 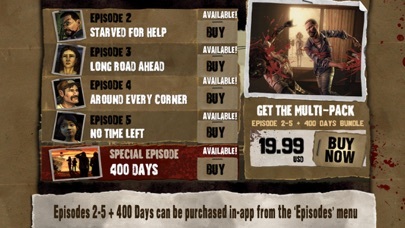 I'm waiting for Season 3 too, that is an epic zombie tv show ever! The game looks great, but I don't understand why there are achievements in Steam plateform and why developers don't want to integrate them in Gamecenter for iOS. Is it so difficult ? 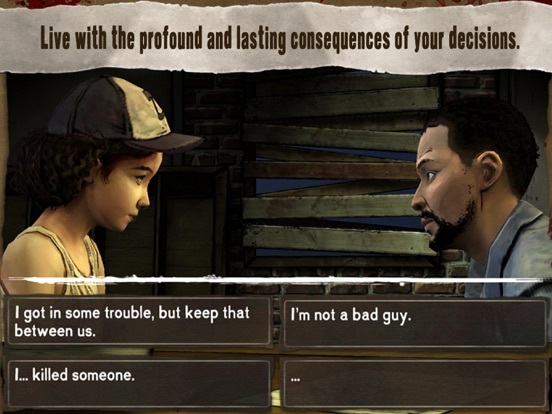 I got the PS3 version and while its very good I sorely missed the touchscreen for selecting options, it may be the fact that its the first Telltale game I played on a device other than an iPad. 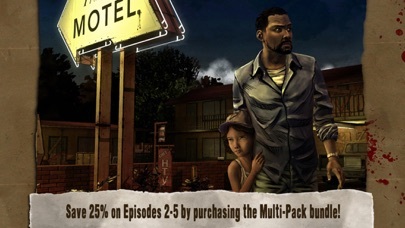 I agree with the opinion that this is one of the best Telltale games to date so if this one is stable it could be the definitive version of the game. I guess this will be handled like their law and order game. Chronology-wise, where does this fit in? During Season One? I'm a VERY late attendee at the Walking Dead party and have just started to watch it (with the pilot episode the only one under my belt). Since you meet up with characters during the games, is it going to majorly spoil having maximum enjoyment of the series? Based off the two episodes so far?